^ Adams, p. 10; Adams makes incorrect statements about their relationships and origins. Adams, Silas (1912). The History of the Town of Bowdoinham, 1762–1912. Fairfield, ME: Fairfield Publishing. OCLC 5816084. http://books.google.com/books?id=viUzAQAAIAAJ&pg=PA10#v=onepage&f=false. Alexander, John (2011). Samuel Adams: the Life of an American Revolutionary. Lanham, MD: Rowman & Littlefield. ISBN 978-0-7425-7033-7. OCLC 678924183. Allan, Herbert (1948). John Hancock: Patriot in Purple. New York: Macmillan. OCLC 424881. Chadbourne, Ava (1955). Maine Place Names and the Peopling of its Towns, Volume 5. Portland, ME: B. Wheelwright. ISBN 978-0-87027-112-0. OCLC 1231296. Fowler, William (1980). The Baron of Beacon Hill. Boston: Houghton Mifflin. ISBN 0-395-27619-5. OCLC 163369557. Greene, John (December 1954). Some Aspects of American Astronomy 1750–1815. JSTOR 226781. Kershaw, Gordon (1976). James Bowdoin, Patriot and Man of the Enlightenment. Brunswick, ME: Bowdoin College. OCLC 3117145. Morse, Anson. The Federalist Party in Massachusetts to the Year 1800. Princeton, NJ: Princeton University Press. OCLC 718724. http://books.google.com/books?id=xCUmAAAAMAAJ&pg=PA23#v=onepage&f=false. Richards, Leonard L (2002). 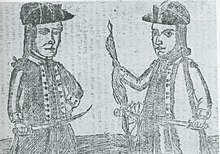 Shays's Rebellion: The American Revolution's Final Battle. Philadelphia: University of Pennsylvania Press. ISBN 978-0-8122-1870-1. OCLC 56029217. Stearns, Raymond (April 1951). “Colonial Fellows of the Royal Society of London, 1661–1788”. Notes and Records of the Royal Society of London (Volume 8, No. 2). JSTOR 3087199. Szatmary, David P. (1980). Shays's Rebellion: The Making of an Agrarian Insurrection. University of Massachusetts Press. ISBN 978-0-87023-419-4. http://books.google.com/books?id=uOY8x2YfJEoC. Walett, Francis (September 1950). 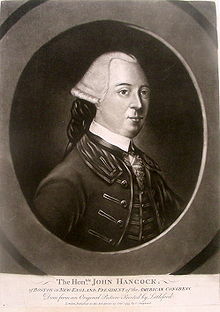 “James Bowdoin, Patriot Propagandist”. The New England Quarterly (Volume 23, No. 3). JSTOR 361420. Winthrop, Robert (1852). The Life and Service of James Bowdoin. Boston: Little, Brown. OCLC 296634. http://books.google.com/books?id=NUizWSNaJpsC&pg=PA90#v=onepage&f=false. Woolf, Harry (October 1956). “British Preparations for Observing the Transit of Venus of 1761”. The William and Mary Quarterly (Volume 13, No. 4). JSTOR 1917021. Zinn, Howard (2005). A People's History of the United States. New York: HarperCollins. ISBN 978-0-06-083865-2. OCLC 61265580.